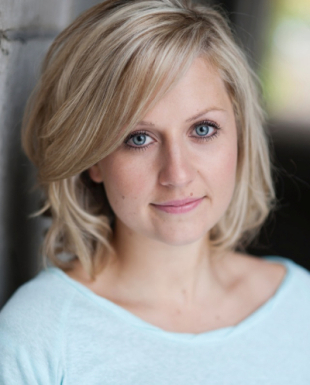 Ellie trained professionally at Arts Ed School of Musical Theatre. Theatre credits include: Swing / Assistant Dance Captain in MAMMA MIA! (UK Tour), Swing 1st Cover Lisa in MAMMA MIA! (International Tour), Ensemble in RAGS (Lyric Theatre, West End), Ensemble / Swing in CRAZY FOR YOU (Upstairs at The Gatehouse, London), Ensemble in 42ND STREET (London Palladium), MIMI in Guys and Dolls (Upstairs at The Gatehouse, London), Ensemble in EDGES (Landor Theatre, London), Ensemble u/s Genie in ALADDIN (UK Productions). Theatre Credits in Training include: Apothecary in ROMEO AND JULIET – ROCK OPERA (Arts Ed), Tantomile in CATS (Arts Ed), Dance Captain / Ensemble in JERRY SPRINGER THE OPERA (Arts Ed).